Between the hustle and bustle of daily life, it's sometimes easy to lose track of personal belongings. 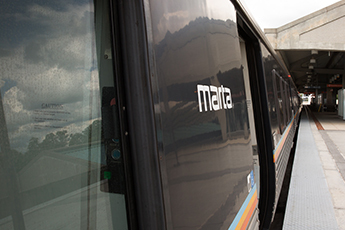 And when it happens on MARTA, we want to help you get your belongings back as quickly and easily as possible. The best, most efficient way to find your lost item is to submit an online Lost and Found Inquiry Form. Our Lost and Found personnel will start the search once they receive your form. Just know it can take up to five business days for recovered belongings to reach our department. If you’d rather go through the process in person, visit our Lost and Found Department located in the Five Points station next to the reduced-fare sales office. The department is open weekdays from 9 a.m. to 5 p.m. — excluding holidays. Once there, you'll need to fill out and submit a physical copy of a Lost and Found Inquiry Form. You can also talk to our the department coordinators if you have any questions about your lost items or the retrieval process. Always feel free to call us about your lost item. You can reach us at 404-848-3208. Calling the department is an especially good idea if you plan on visiting the department. That way staff have an idea of what to look out for and can look into whether anything has been recovered. Remember: items take a few days to reach the office, so don't worry if the office doesn't have your item when you call. If you’re not an Atlanta resident and you lost item, we have you covered. Send a prepaid mailing label to our Lost and Found Department, and we'll return your item through FedEx or UPS. Although the process for reporting and receiving your belongings is straight forward, there are a few things that can help you get your items back more quickly. You only need to report your item once. When you do report your item as lost, make sure you give as much detail as possible. This will help us match your description to the lost item — and sort out any others that may slow down the process. You must have a valid photo ID to claim your belongings. If you're not able to pick the items up personally, you can authorize someone else to retrieve the items for you. They, too, need to have a photo ID. Retrieved items are held for 30 days. After that, we either donate them to charity or dispose of them. We will contact you by email or phone if we retrieve an item that fits the description you gave. The key word is "if." Be patient if you haven't heard from us. Finding and retrieving lost items take time and a little luck.